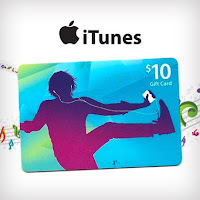 Pay $5 for a $10 iTunes Card! NOTE: This deal is for 1st time Saveology buyers only! Wow! Head over to Saveology to score a $10 iTunes gift card for only $5! Your voucher is available immediately after purchase. Log into your Saveology account to view your voucher and follow redemption instructions and is limited to one per household.